Parker Woodworks is a traditional furniture restoration firm that specializes in repair, restoration, and refinishing of fine and antique furniture. Our techniques are based on one hundred plus years of combined woodworking and joinery experience. 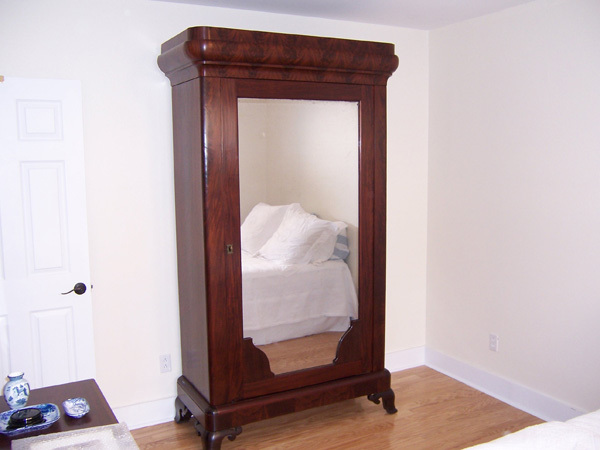 Our technicians have experience in all phases of fine furniture design, construction, repair to fire and water damaged furniture, and restoration as well as all phases of the finishing process. 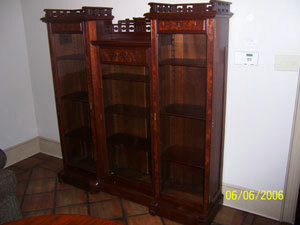 Upon recieving your heirloom pieces, we scrutinize the furniture to determine the exact course of action we will take. It may need stripping, or not. Maybe it needs reglueing, major or minor repairs, or just conservation. Our first priority on antiques is to preserve their value by completing only the most necessary work. Some pieces, however, require complete restoration in order to be functional again. 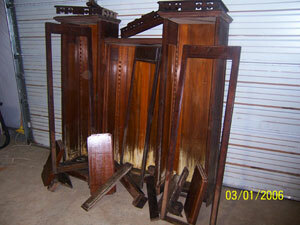 On pieces in good condition, we conserve, keeping it's original patina, and value. We hope you find our site informative and helpful. Please enjoy your visit.